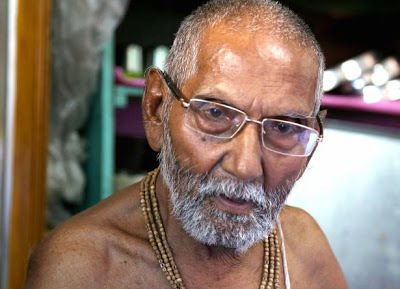 Home World News 120 - year- old ’ monk who claims to be the oldest man alive has credited celibacy for his long life. 120 - year- old ’ monk who claims to be the oldest man alive has credited celibacy for his long life. Swami Sivananda was born on August 8 , 1896 , according to details in his passport . Looking rather youthful for a 120 -year -old , Swami is now applying to Guinness World Records to verify his claim . Sivananda , who was born in an extremely poor family , lives in Kolkata city , India, but had lived in the city of Varanasi all his life . Despite his astonishing age , he lives with no help and no medical aid , performing yoga for hours every day . “ Discipline is the most important thing is life . “ One can conquer anything with discipline in food habits , exercise , and s * xual desires. Sivananda believes that times have changed but he is still the same. He said .